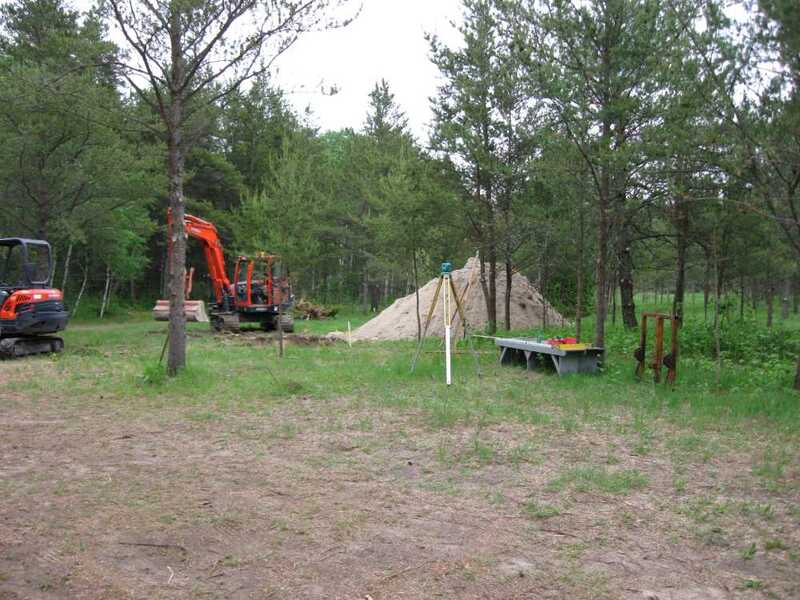 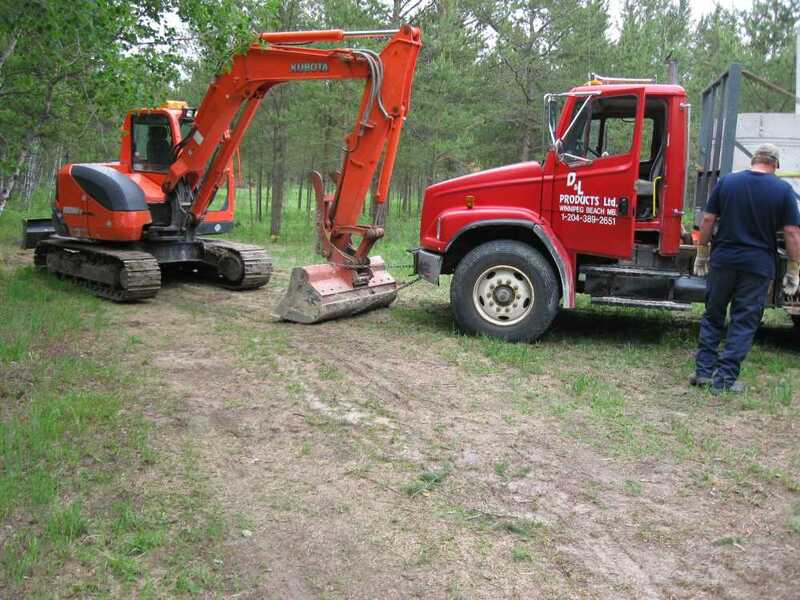 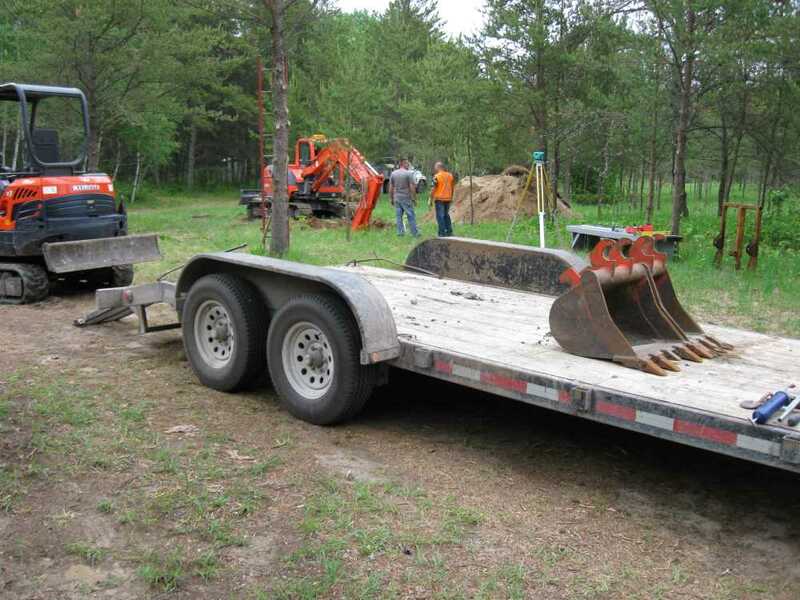 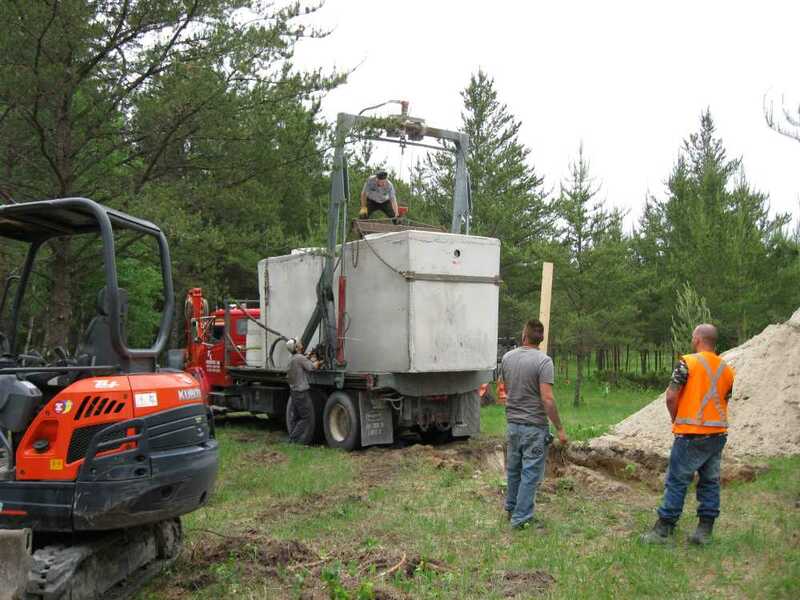 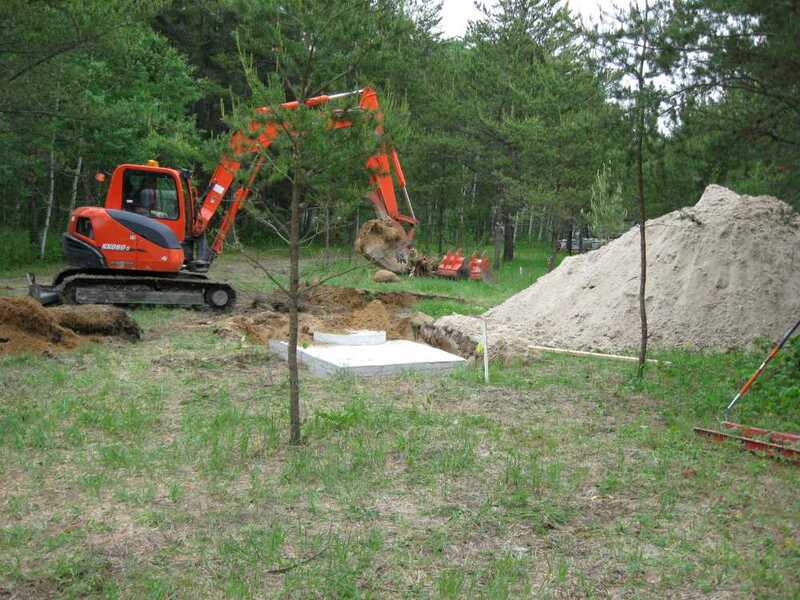 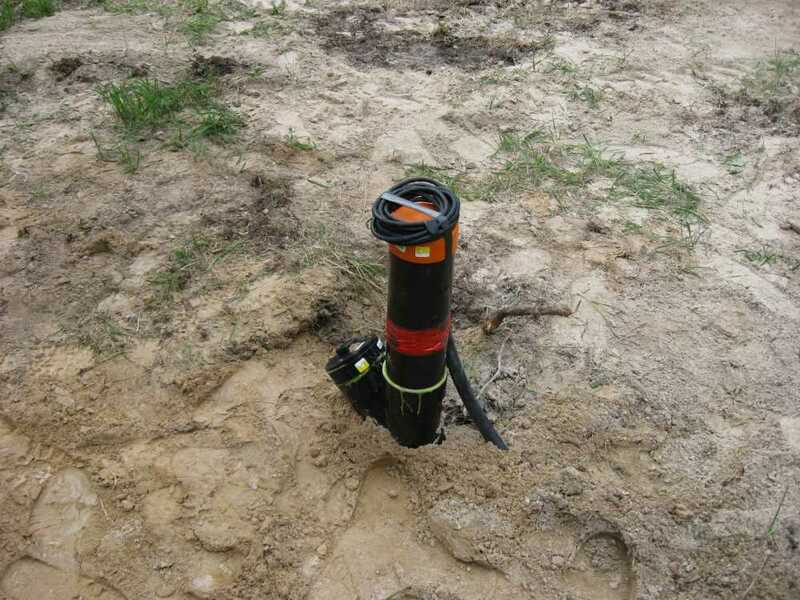 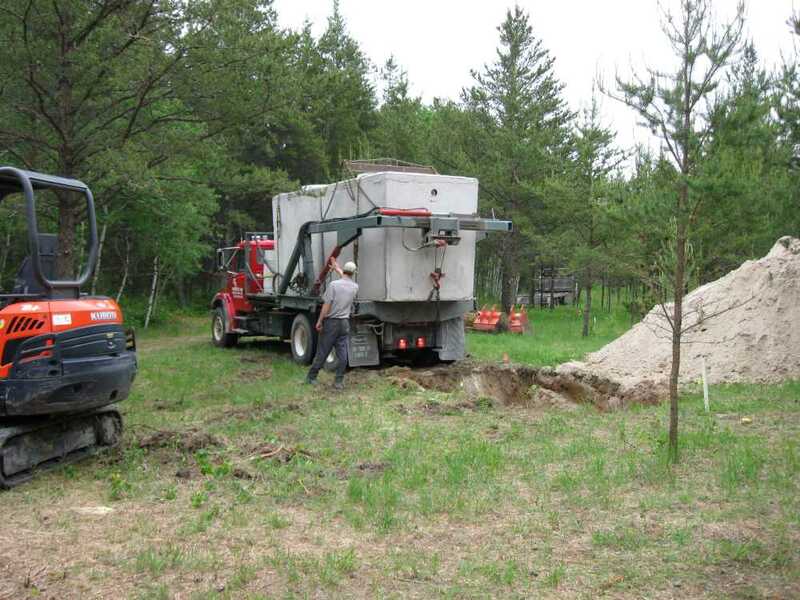 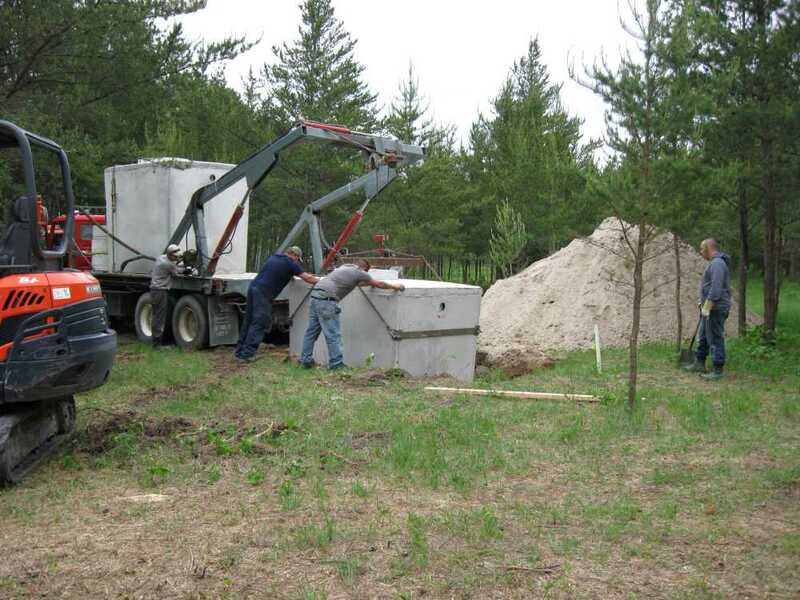 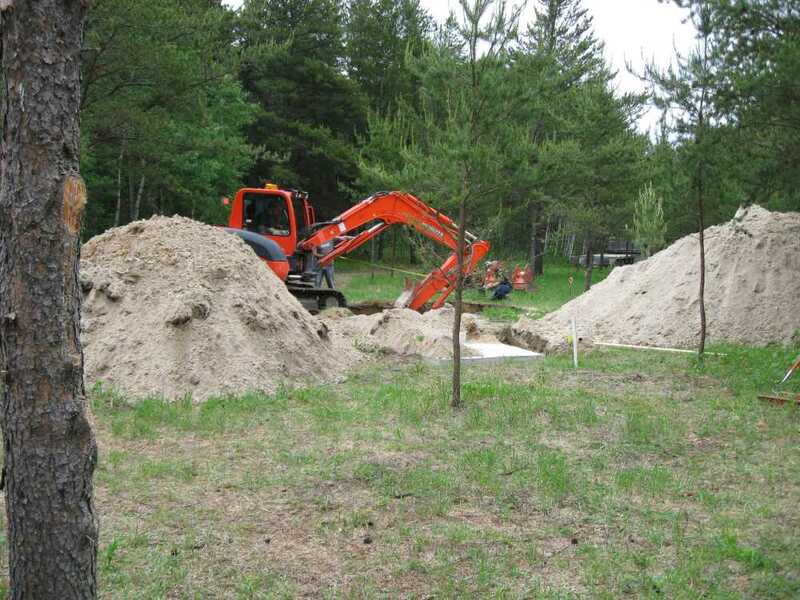 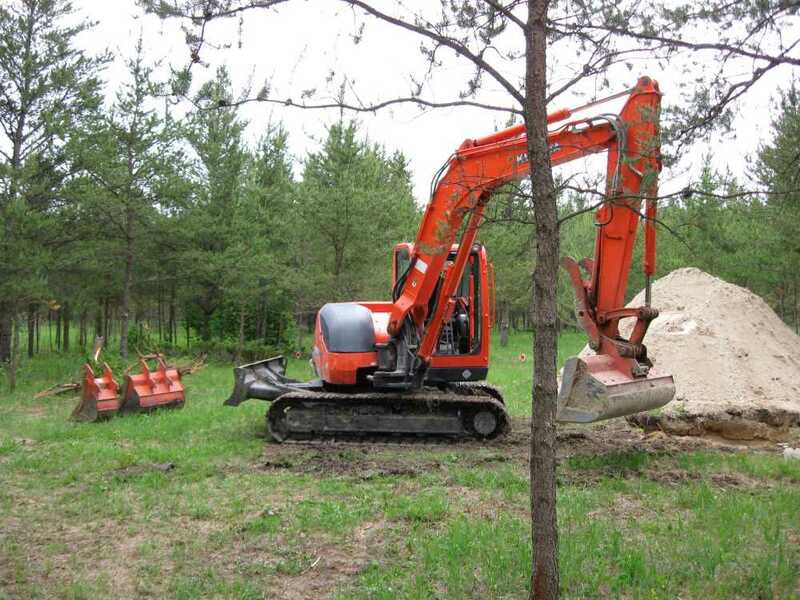 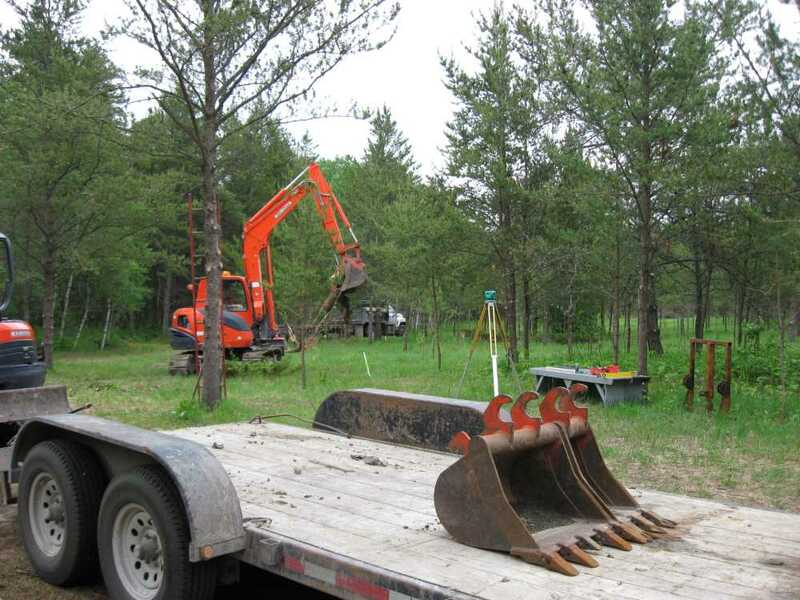 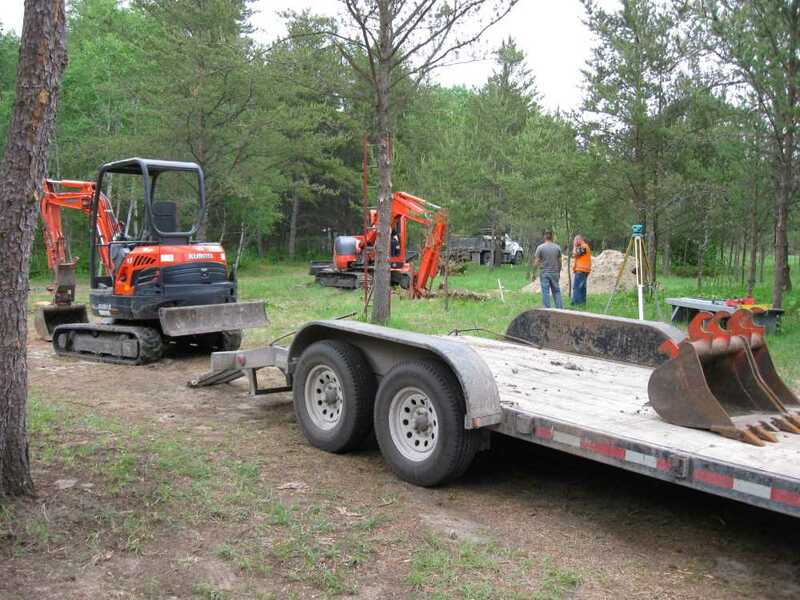 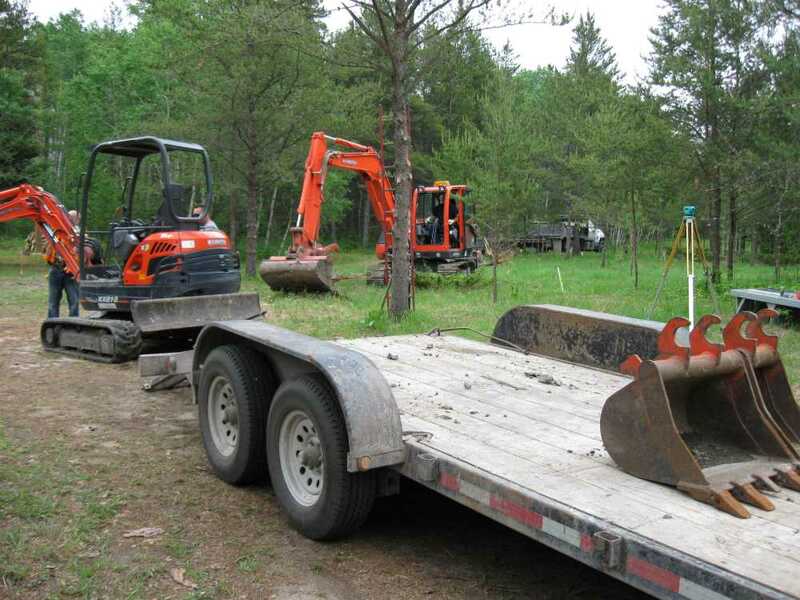 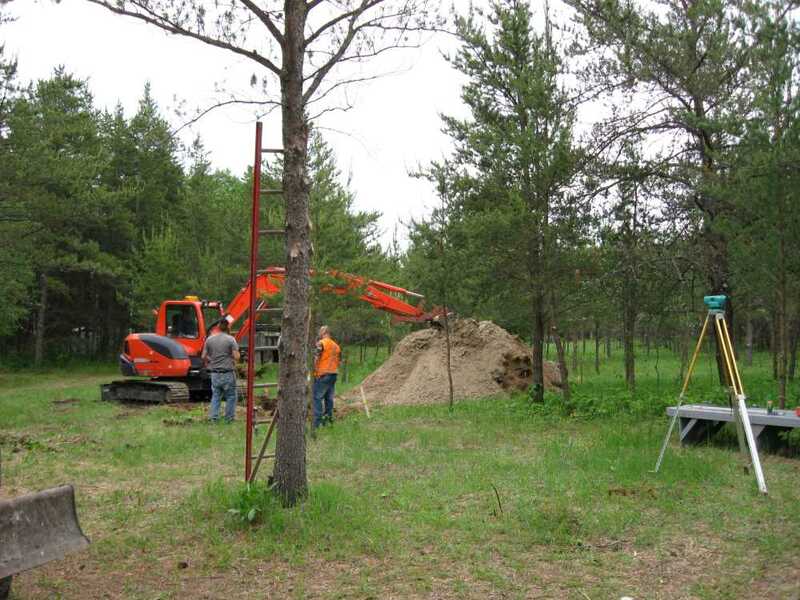 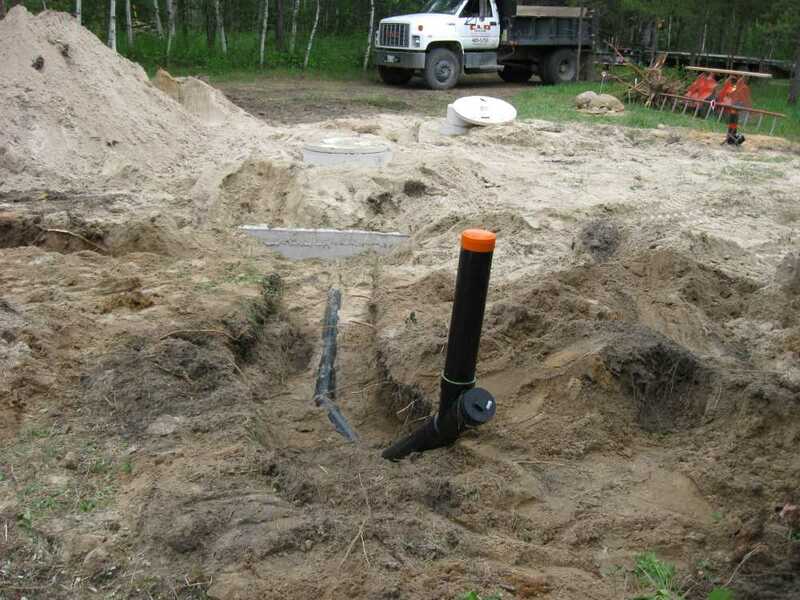 After obtaining a permit from Manitoba Conservation, two 1500-gallon concrete sewage holding tanks were installed at Naturist Legacy Park by CLD Excavating of Clandeboye, Manitoba in mid-June. 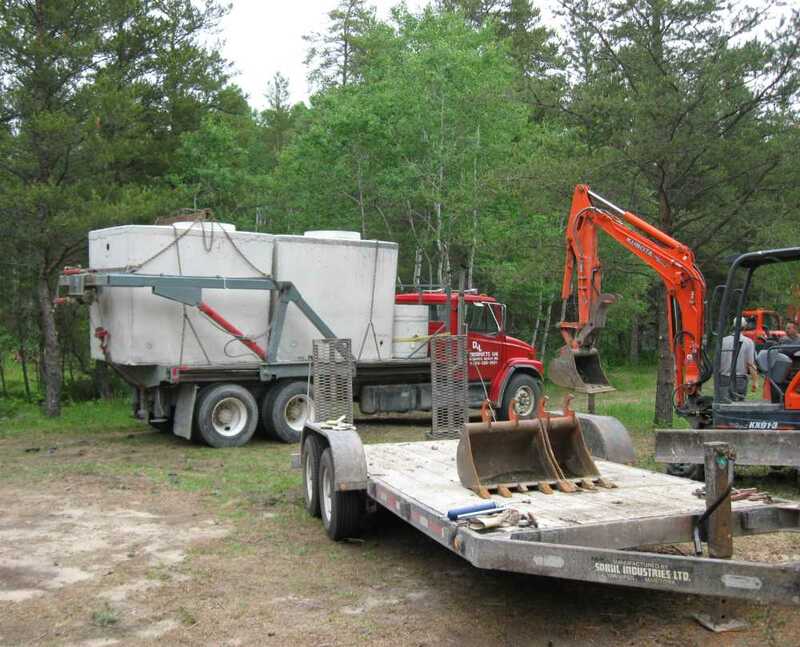 A large hole was carefully excavated and leveled before the tanks from D&L Concrete and Fiberglass Ltd. of Winnipeg Beach, Manitoba arrived. 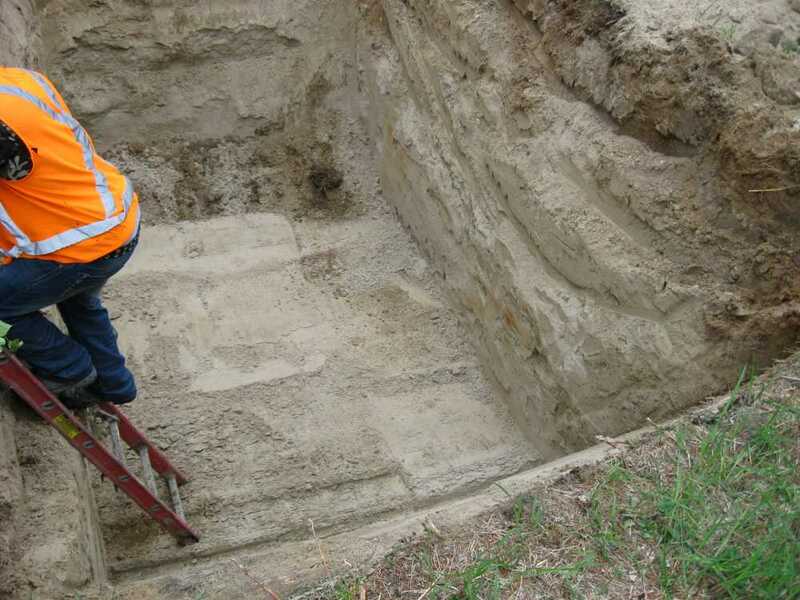 After the first tank was lowered into the ground, an adjoining hole was excavated for the second tank. 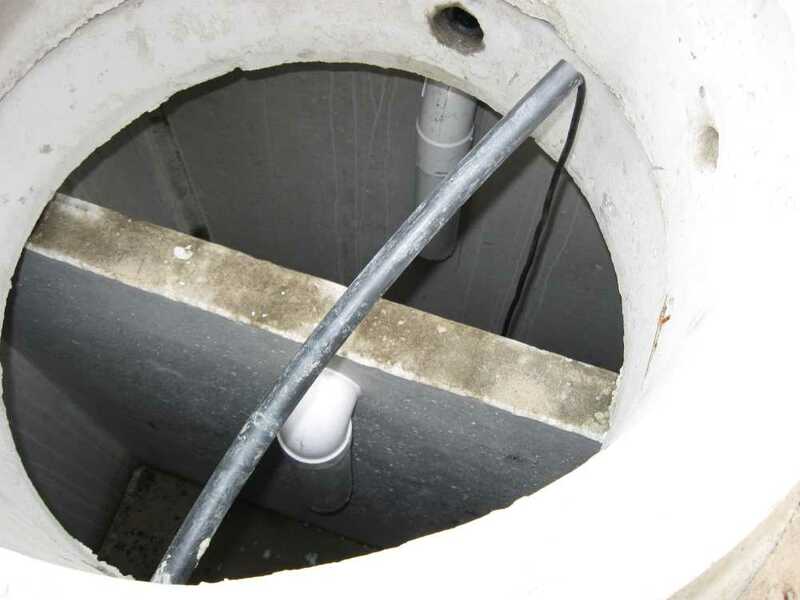 The tanks were connected together before they were covered over. 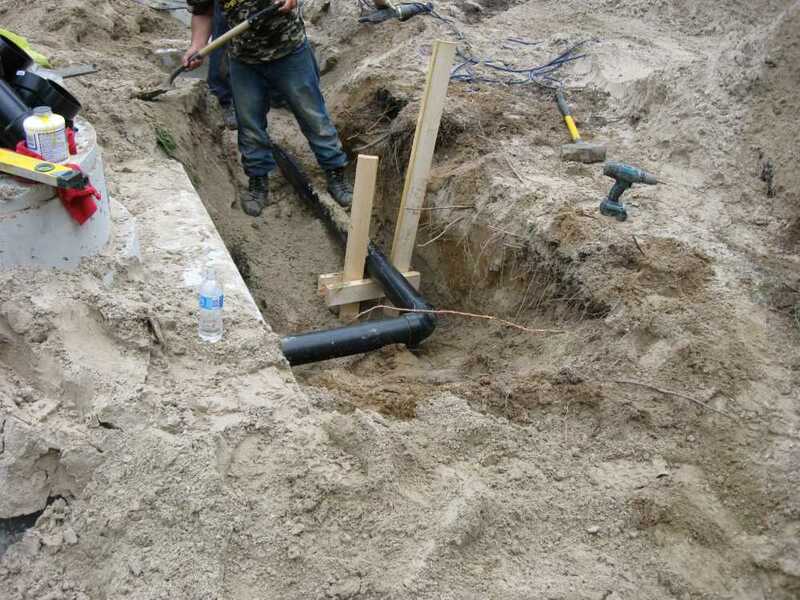 Three ABS sewer pipes were positioned to service the yet-to-be-constructed washroom building, clubhouse and RV sanitary dump station. 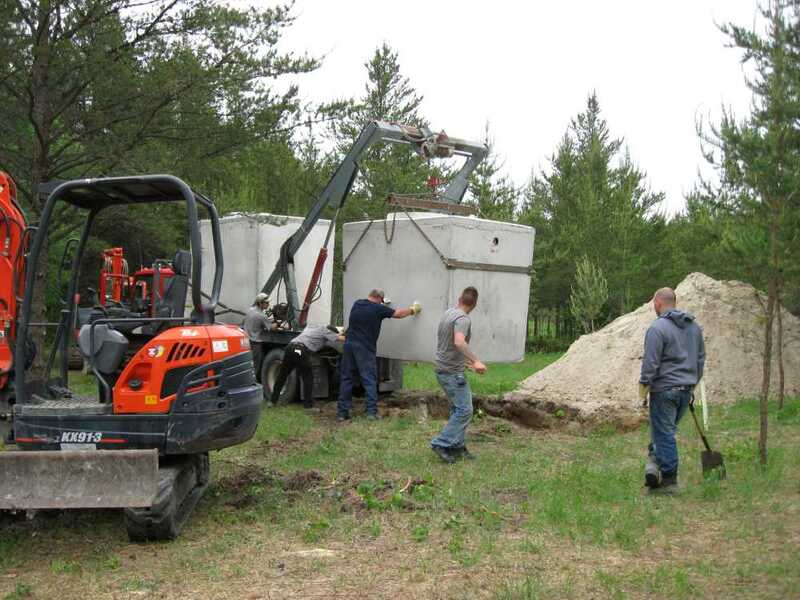 Excavated sand displaced by the tanks was loaded onto a truck and transported to a nearby storage area. 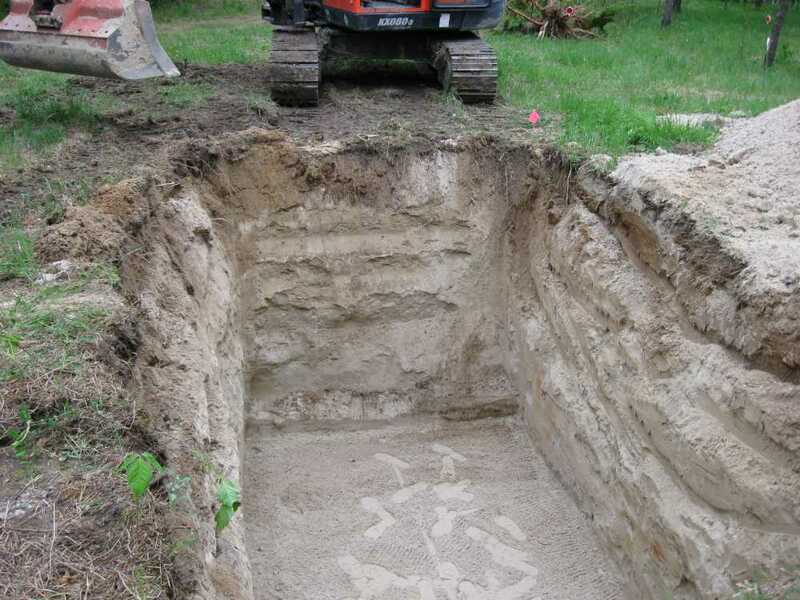 The work site was left clean, level and safe. 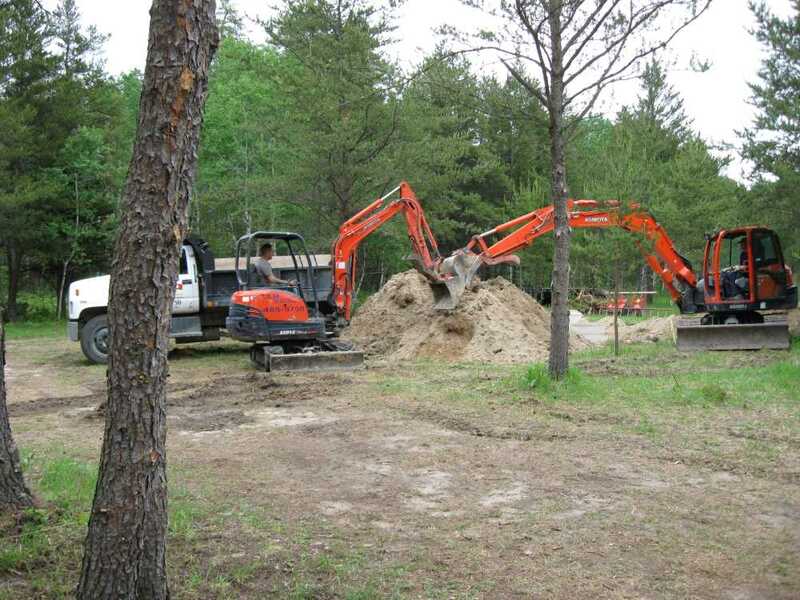 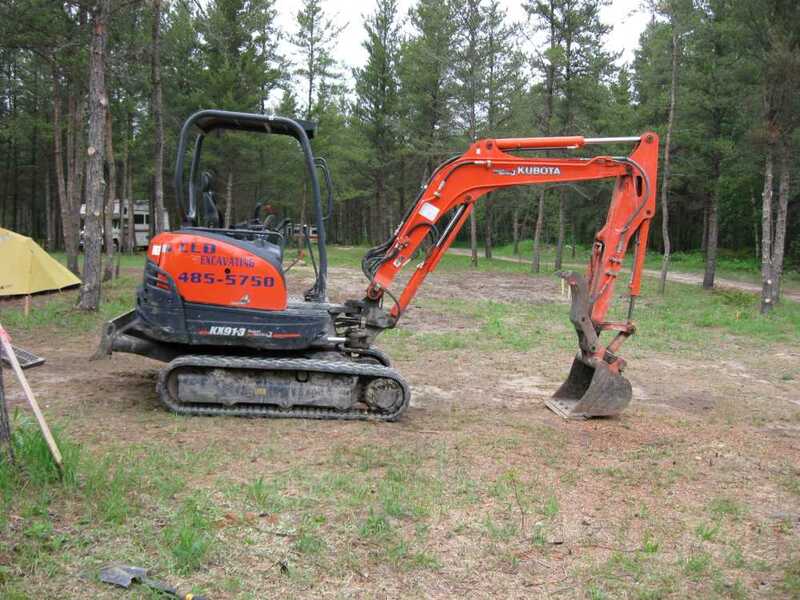 I cannot say enough good things about CLD Excavating owner Peter Jakabek and his crew. 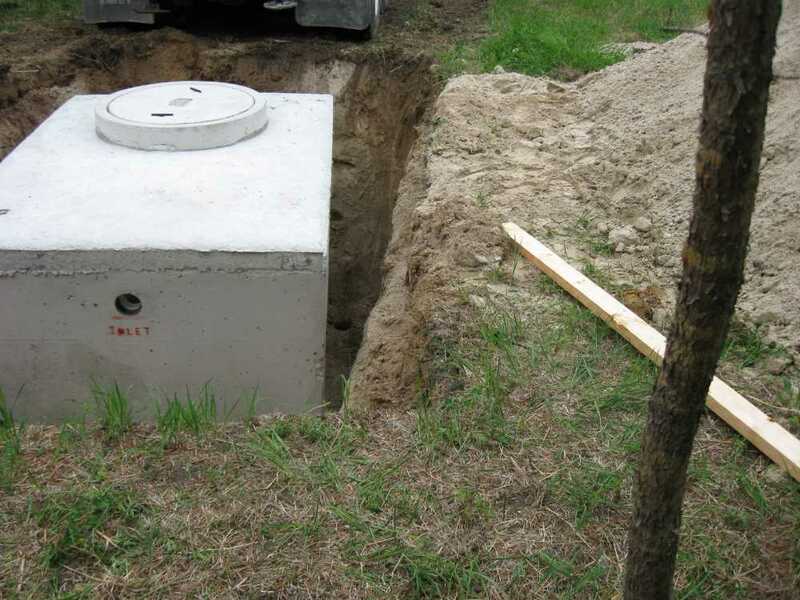 The workmanship was meticulous, the pricing was reasonable and the customer service was simply outstanding! 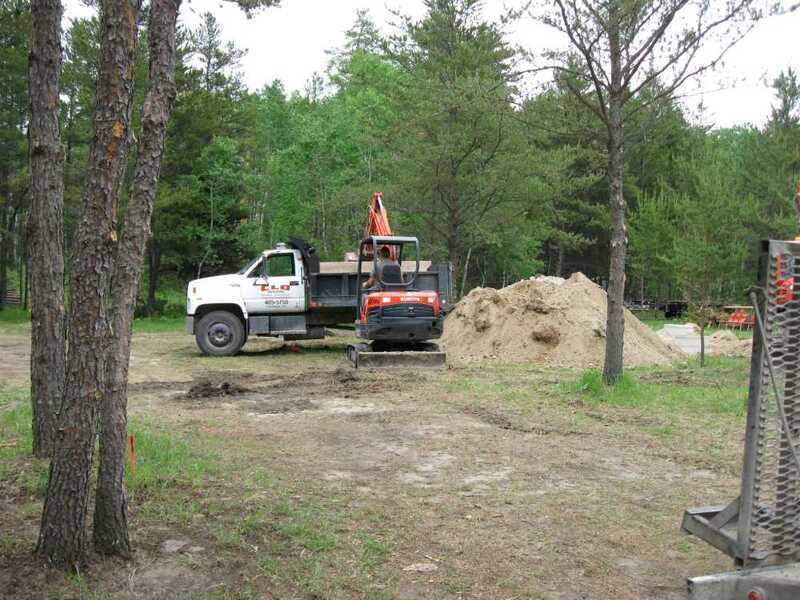 Peter had noticed that we had been digging out large boulders by hand that were obstructing our roads. 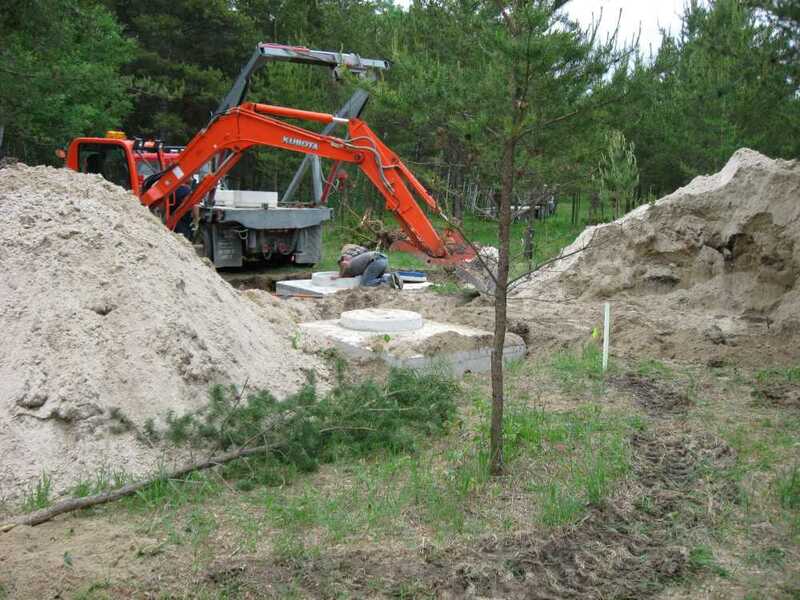 Before leaving our property that day, he took pity on us and very kindly dug out these boulders with his big excavator. 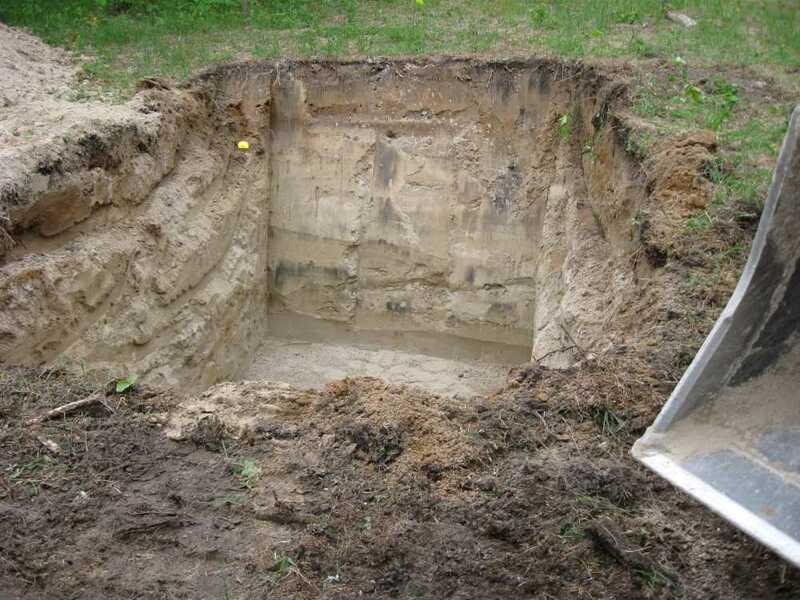 This gracious act saved me and other volunteers many hours of hard labour. 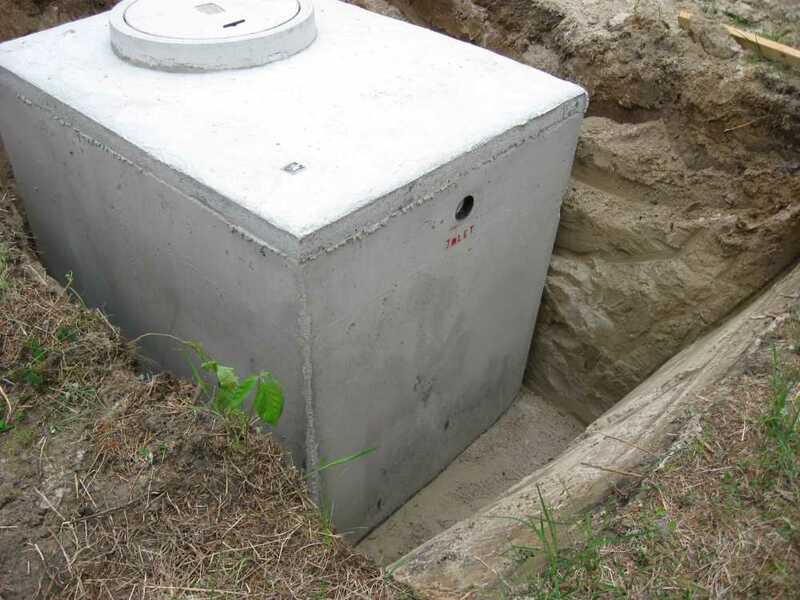 Thank you, Peter! 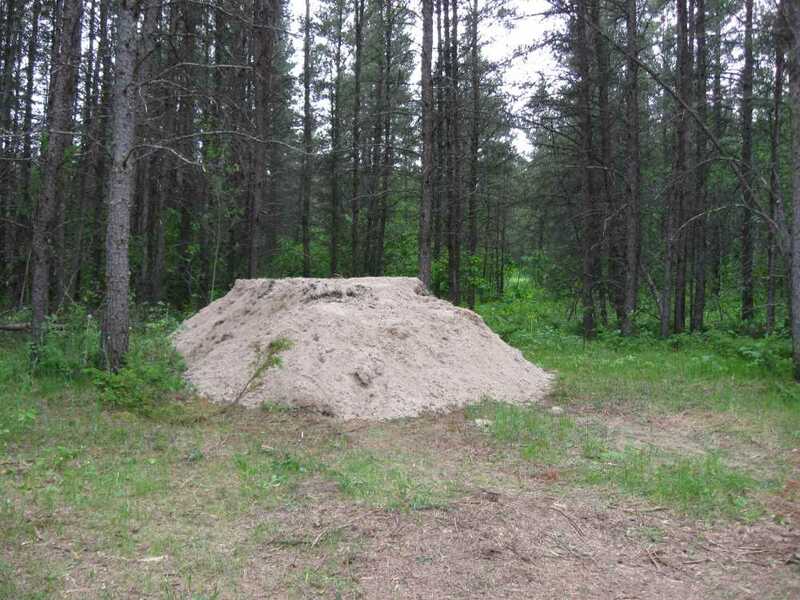 These photographs from my personal collection were taken in June 2011. 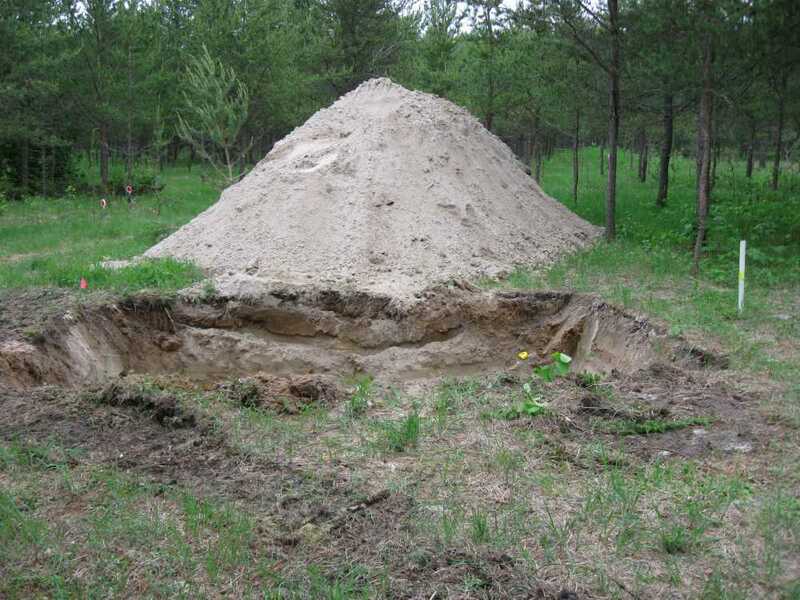 Please contact me if you'd like to learn more about them. 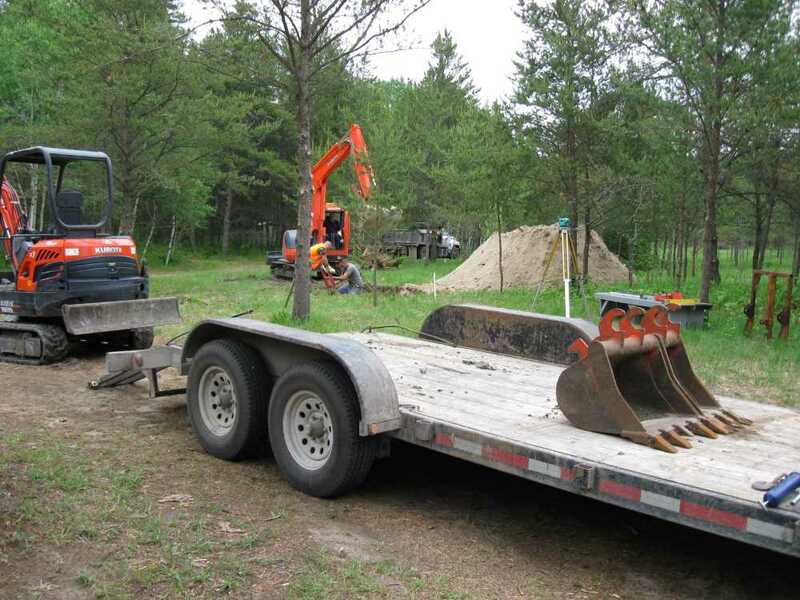 Minimum screen width of 1000px required.